The Heifer International building was commissioned in 2002 and completed in February 2006. 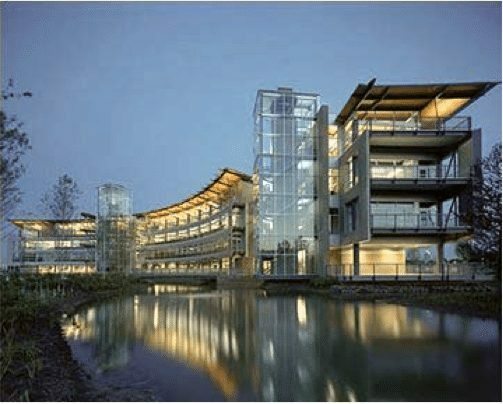 It was the first Platinum LEED (Leadership in Energy and Environmental Design) certified building in Arkansas and the only one is the South-Central US. There are less than 50 LEED certified buildings in the entire country. 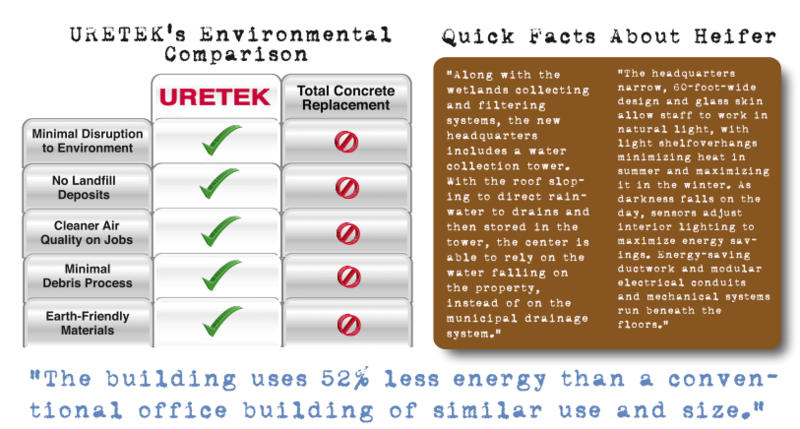 The building site started with an old rail yard site known as “Brown-field” and construction 75,000 tons of earth from the area and creating wetlands to store, control and reuse the surface groundwater. Abandoned buildings on the property were crushed and reused in the concrete and mortar portions of the building and steel and wood were recycled too. Bamboo was used for flooring since it grows quickly and there is water is a water collection tower integrated into the building that captures runoff from the roof. This water is used in place of municipal water resources to run the building. The building is only 62’ wide at its greatest width which allows all workspaces to benefit from the natural light provided by the sun. 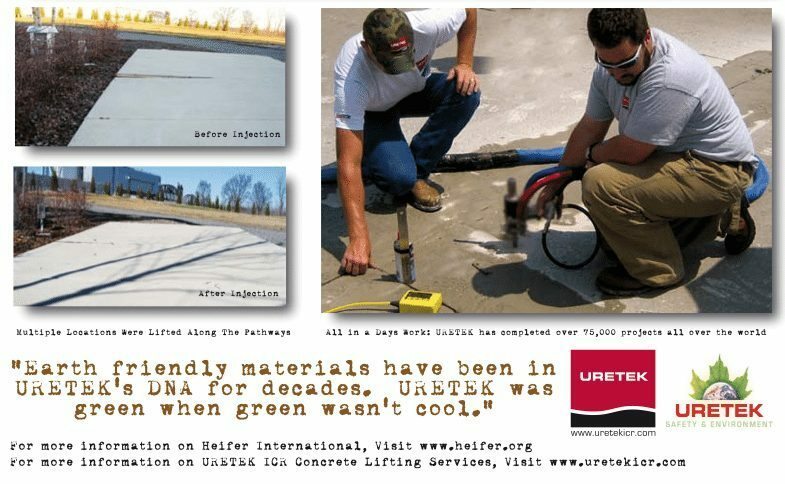 The design is optimized to provide heat in the winter and cooling in the summer and for those of you that would like to consider working at Heifer International…wear comfortable shoes because the elevators are very slow, encouraging employees to take the stairs.